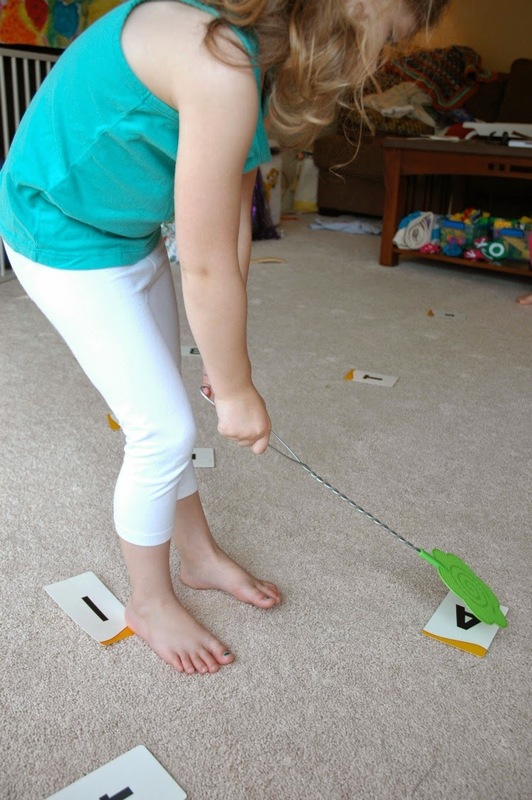 Adding a simple prop can really make a big difference in your children's enthusiasm for learning! 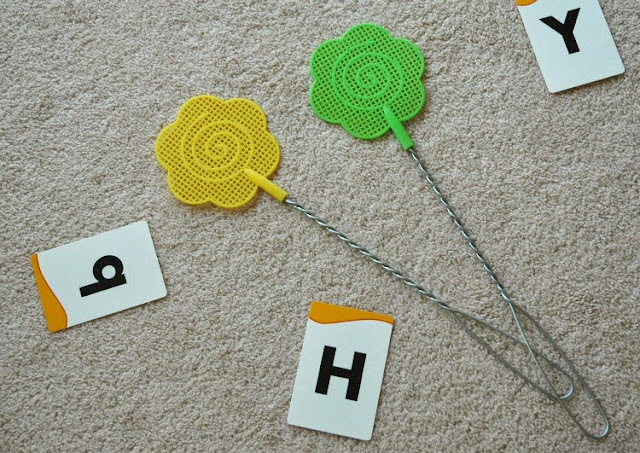 I picked up these fly swatters at our local dollar store (2 for $1) to use during our bug themed preschool week and my girls have loved playing with them! I came up with several quick and easy learning games to use them for, and they can easily be adapted to most anything that your kids are learning. Here are 3 ways to play "Swat It!" Grab a pack of alphabet flash cards (or make your own using bits of paper). Spread them all over the floor. Ask your child to swat a letter, say its name and the sound that it makes. I also asked my girls to tell me the name of an animal that started with the letter. 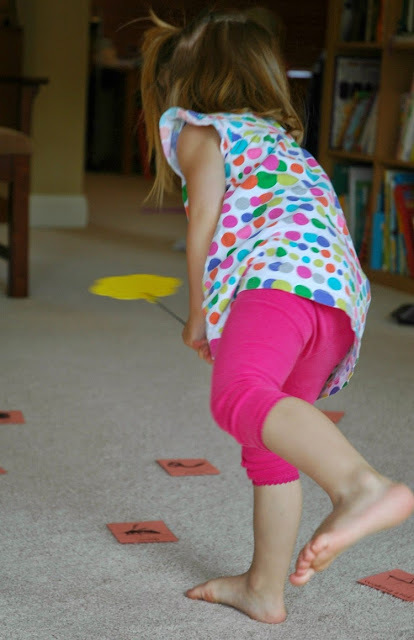 This is a fairly easy version of the game, since your child can choose which letters they know and want to swat. 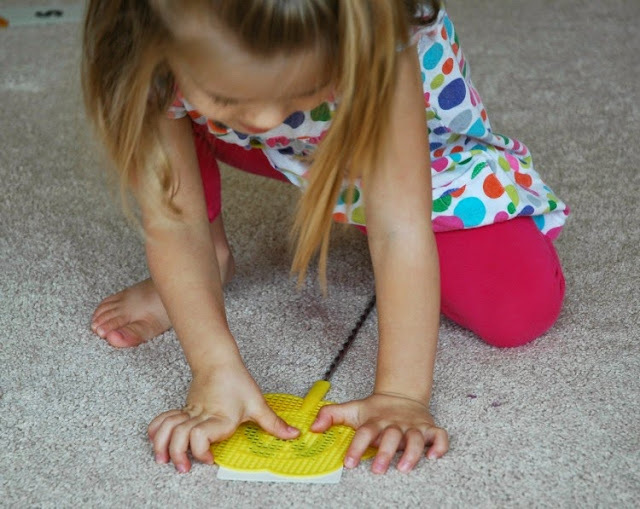 After they've swatted a letter, take it out off the floor. A slightly more challenging version would be to call out a letter and have your child find it. This can be much tougher, since there may be many letters for them to sort through, and they may not all be facing the same direction! Another version of "Swat It!" involves matching. You can use any matching or memory cards that you have. 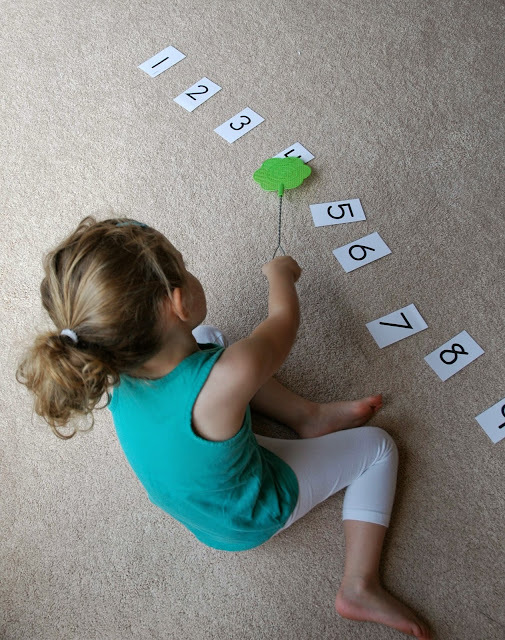 Since we're in the middle of an insect themed preschool week, I used the Creepy Crawly Montessori-style 3-part cards from 1+1+1=1. For the third version of our game, I used number flashcards. 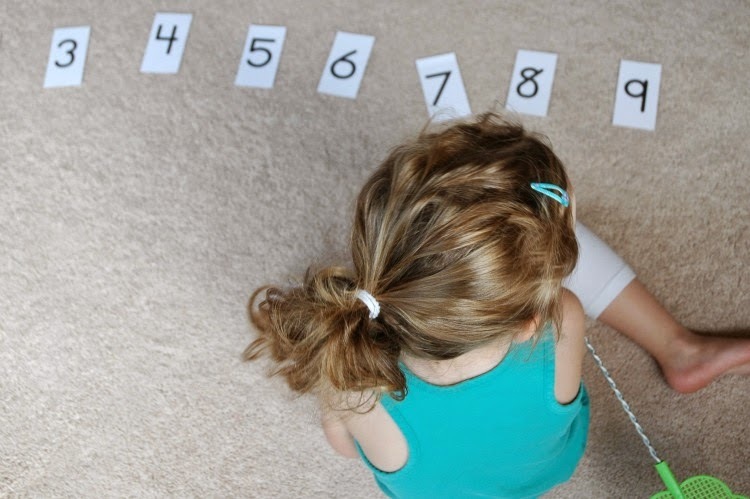 I spread them out in a line in front of Lena, who is working on basic addition. I called out a simple arithmetic problem and she swatted the answer. 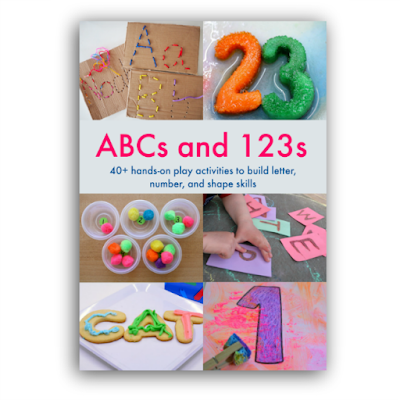 You could also do numeral identification or more complex math concepts, depending on what you're working on. I was surprised at how long she wanted to keep playing! While she doesn't dislike math, it's not usually something that gets her blood pumping. But being able to swat the answer made it so much more fun! For lots more ideas on insect activities that you can complete with your preschooler, visit the What Can We Do With Paper And Glue Pinterest board below. Swat It! 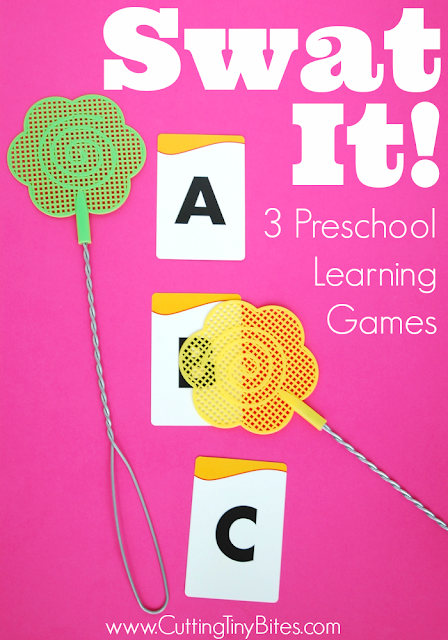 3 Preschool Learning Games. Easy gross motor activity that can be adapted for colors, shapes, letters, numbers, or any early learning objective.